Methods of timekeeping were used in prehistoric times going as far back as as the Neolithic time period. All the parameters changed when the Egyptians accurately determined the length of a year. This calculation was achieved by noting where specific stars were in the sky at any given time — specifically Sirius, the Dog Star. By observing this star, it made the Egyptians the first civilization to use a solar calendar — as opposed to a lunar calendar. Fun fact, the lunar calendar that was favored by ancient Babylonians and is still used in Jewish and Muslim calendars. Unfortunately, there was a flaw with solar calendars. Every four years Sirius arrives a day late. Because the discrepancy wasn’t addressed, “This resulted in the calendar taking a backward slide as a lunar calendar does — only at a much slower pace,” writes Padden. The rise of the Gregorian Calendar. Under Julius Caesar, the Gregorian Calendar issue was corrected by the Roman Empire. In 1582, Pope Gregory XIII introduced the Gregorian calendar. This calendar corrected this problem by using three leap year days every 3,000 years. In 1752, the Gregorian calendar was adopted by England and is the mostly widely used calendar in the world. At the same time, the calendar really didn’t change much until the end of the 20th Century. Thanks to advancements in how calendars were organized — the calendar just became a piece of paper on your desk or hanging on the wall that kept your days straight that let you know if you had an appointment. Technology catapulted us into the age of the digital world — and the calendar has become your personal assistant and so much more. 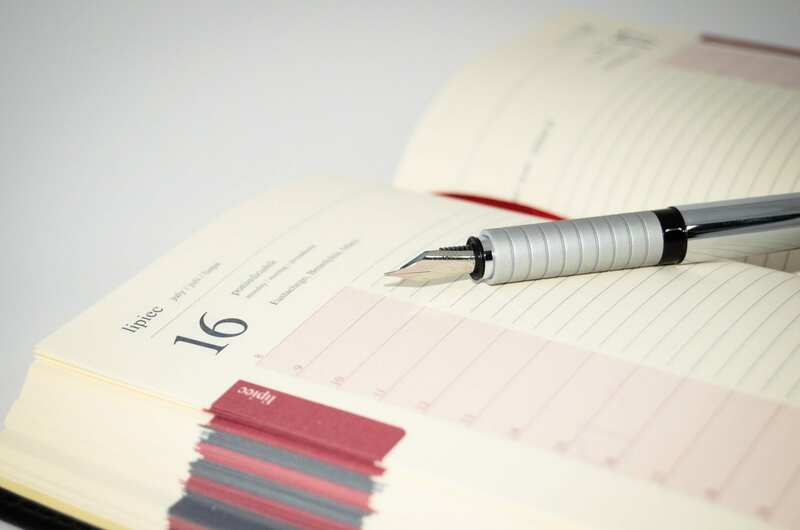 With the advanced amounts on information and movement in society and business — a calendar has become a necessity to schedule meetings, plan trips, manage to-do-lists and to stay organized in all areas of life. In business and in life there has to be a place to keep track of that business. Currently, your calendar is built to keep track of everything, including the internet of things (IoT). The event of the millennials entering the business markets made business leaders, and especially entrepreneurs to the awareness that our calendars must also include the business of life things (BoLT)⚡too. What’s interesting is how rapidly calendars are currently changing and evolving. Take Google Calendar, for example, It was launched in 2006. By 2010 it could support multiple time zones. In 2015 the “Reminders” feature was introduced. The latest update in 2018 provides an “out of office” feature that will automatically decline meeting requests and response with an automated message you’ve created. But, that’s just the beginning of how the calendar is continuing to evolve thanks to technology. In fact, here’s what your calendar will change in the next decade. Manage Your Calendar With Your Voice. Most calendar tools now allow you to add or edit entries in your calendar using your voice. 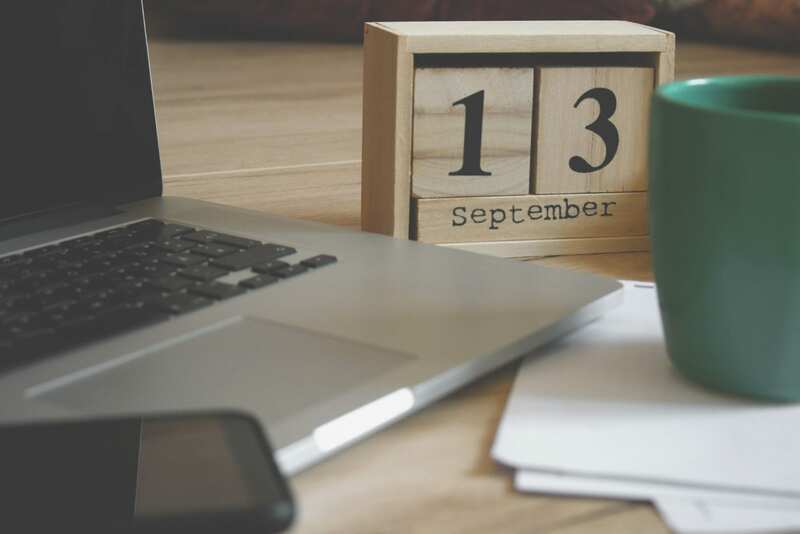 For instance, if you need to schedule a meeting for Tuesday at 3pm, you could simply tell your Google Assistant, Alexa, or Siri to add the event to your calendar. While this isn’t revolutionary technology, the IBM Shoebox used the technology back in 1962. Dragon Dictate has been around since the mid-1990s. Now, the popularity of voice assistants has made voice usage with calendars more commonplace. As such, this makes managing your calendar a breeze since you can verbally control your calendar. As the technology continues to improve, you can expect to receive more personalized responses and experiences. Now when you wake-up in the morning you can ask your assistant what your schedule is for the day. You can asked to be informed on what your commute and weather is going to be for the day. Your personalized responses can even tell when your favorite baseball team is playing. It will come as no surprise when you start to receive voice notifications, instead of the traditional email or text notification. The Rise of the Intelligent (AI) Calendar. Although we’re not completely here just yet (almost, watch for the update!) your calendar will become more and more intelligent. By using machine learning to analyze previous data your calendar will make smart suggestions on everything from ho to manage your to-do-lists to scheduling meetings. Let’s say that you block-out from nine a.m. to noon for undisturbed work in your calendar. Instead of creating a recurring event, your calendar will automatically block this time out for you. It may even turn off distracting notifications, like email and social media, during this time. Eventually, your calendar may even determine when you’re most productive. So, if you start fading out every 50-minutes, it will remind you to get-up and stretch. Another example would be during meetings helps, as determined by AI. You’re calendar is on your phone and can record your meetings. It can then determine the participants and identify specific keywords. By analyzing this data, your calendar can then make suggestions about when, where, and what should be discussed. This will make your meetings more productive because they’ll be short, concise, and focused. Even more promising, beginning soon, your calendar will automatically create and share the meeting agenda for you. By 2020 it’s anticipated that 80 percent of companies will use chatbots for customer interactions. So, it’s not far-fetched to believe that chatbots will be working closely with your calendar. For example, you could almost replace your HR department. By using an internal chatbot, a job candidate could schedule an interview based on real-time availability. This not only eliminates back-and-forth communications, it also prevents conflicts like double-bookings. These chatbots could then be used to schedule meetings, book conference rooms, send out deadline reminders, and allow employees to book time off. Chatbots, after reviewing your schedule, could order you a Lyft or Uber ride before or after a meeting. They could also book hotel rooms and flights for your next business trip and then sync that information to your calendar. Also, the bot will update your calendar in real-time if it gets cancelled or rescheduled. 2018 was a breakout year for augmented reality. Like voice assistants, expect the technology to improve as it becomes more widely used — especially if Apple releases an augmented reality headset in 2019. Some companies are already using augmented reality (AR) to bring plain old paper calendars to life. After downloading an app, you just have to point your phone on an image on the calendar and tap the screen to bring it to life. For example, Tengo Interactive created an AR calendar for airports that gave users a behind-the-scenes look at a modern airport. Other companies have explained all of their product offers through an augmented reality wall calendar. These augmented reality wall calendars present new and exciting marketing opportunities. However, with this technology you could do a virtual walk-through of a property. If you look what you see, you could book an appointment with the realtor. If you planning a trip to New York City, you could use augmented reality to explore restaurants, landmarks, and museums. Now you can make reservations or book tickets and have them automatically added to your calendar. Your Calendar Will Sync Will Sync With the Internet of Things (IoT) — Let’s Sync our Calendar With the Business of Life Things (BoLT)⚡too. Finally, your calendar and the Internet of Things (IoT) will sync together in both your workplace and home, for the business of life things (BoLT) . You can sync your calendar with the thermostat and lightning so that they’ll turn on and off during business hours. Smart desks will remind you to change positions or take breaks. And, your calendar will automatically book conference rooms or taxis when you have meetings scheduled. At home, your alarm can sync with traffic lights and reports. This will notify you when it’s time to leave based on your schedule and needed arrival time. Like your office, your calendar can control your heating, cooling, and lightning. With wearable technology, you can track your health to set exercise reminders or schedule a check-up with your doctor — all can now be calendared. In short, the possibilities will continue to be updated, and endless.